You can’t count on the mainstream media for insightful reports about developments in blockchain technology. And getting honest, accurate news about cryptocurrency? Fuhggedaboutit. Fortunately, you can get all the news and interviews you want by streaming podcasts. You’ll find everything from random crypto enthusiasts posting to YouTube all the way to professionally-produced news shows. Use our list of the top blockchain podcasts to find the right mix of crypto news for you. Fintech consultancy 11:FS produces Blockchain Insider, a weekly roundtable discussion of news in cryptocurrency and blockchain hosted by 11:FS co-founder Simon Taylor, 11:FS employees and outside guests. In a recent episode, Coindesk’s Noelle Acheson, Mattereum founder Vinay Gupta and ING’s Stephane Malrait joined Blockchain Insider for a discussion of exchange-traded funds in the US, IBM’s blockchain-based app store for financial institutions, and more news. A graduate of the Columbia School of Journalism, Laura Shin built her career writing about technology for The Wall Street Journal, Newsweek, and the New York Times. More recently, Shin has been a contributor to Forbes where she focuses on blockchain entrepreneurship and the crypto economy. 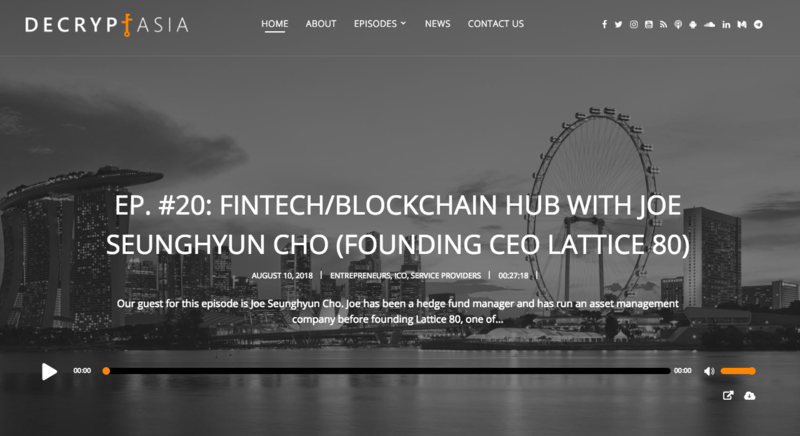 Shin produces two well-respected podcasts in which she interviews the movers and shakers in the blockchain industry. Unchained is a weekly podcast that focuses on blockchain technologies and their applications. In a recent episode, Shin spoke with Dapper Labs’ Roham Gharegozlou and Benny Giang about the popularity of CryptoKitties and the lessons it taught about the blockchain’s limits. Unconfirmed focuses more on the cryptocurrency side of the industry. Shin interviewed Tricia Martinez, founder of Wala, about how Africans are rapidly adopting the Dala cryptocurrency. Manuel Stagars produced and directed The Blockchain and Us, the first documentary about blockchain technology. But he didn’t stop with the film’s release. Stagars kept interviewing the people pioneering and innovating in the blockchain space and posts them for anyone to watch on The Blockchain and Us podcast. A recent episode features the Enterprise Ethereum Alliance’s Ron Resnick about how the world’s largest companies are finally considering blockchain-based solutions. Dr. Harpeet Singh is a former Harvard professor and the founder of Expercoin, an upcoming ICO that promises to disrupt learning. Expercoin produces the Masters of Blockchain podcasts in which Singh interviews high profile members of the blockchain and crypto communities. Singh’s first guest was venture capitalist Tim Draper who talked about the future of crypto as well as his efforts to split California into separate states. Tim Draper’s son, Adam, is also a venture capitalist and founded the bitcoin startup accelerator Boost VC. In the Boost VC Podcast, Adam Draper sits down with fellow investors, entrepreneurs and thought leaders to discuss blockchain’s origins and its future. A recent episode features Jesse Draper talking about women in the VC industry and her investment group Halogen Ventures. Venture capital fund Andreessen Horowitz, also known as a16z, produces its own a16z podcast series that covers the broader tech startup landscape. Given how dynamic the sector is, many of the episodes include news about blockchain-based ventures. In a recent episode, a16z partner Ali Yahya used the city as an analogy for the coordination and scale of blockchain-based crypto networks. In a fast-moving sector like the blockchain, university students often know more than their professors. The students at the Wharton School of Business produce the Wharton FinTech podcast to document the people turning the global financial services field on its head. BitMEX co-founder (and Wharton grad) Arthur Hayes is one of the guests to have discussed the role of blockchain and cryptocurrency in the financial system. ICO Alert is a “discovery platform” for initial coin offerings, providing a one-stop-shop for information about upcoming tokens. The company also produces the ICO Alert Podcast which discusses some of the more interesting new projects. The podcast has a regular series of episodes dedicated to the EOS ecosystem as well as a weekly news roundtable. A recent episode in the Everything EOS series included an interview with the founders of SVK Crypto, a project investing $50 million in EOS projects. Projects backed by Silicon Valley can easily dominate the headlines and podcasts. Check out these podcasts that take a more regional approach. A huge amount of blockchain innovation is happening in Asia, home to some of the world’s largest exchanges. In Decrypt Asia, Tushar Aggarwal covers the latest news and speaks with industry insiders to raise the profile of Asia’s blockchain industry. Past guests include StaTwig founder Sid Chakravarthy, the Taiwan Blockchain Alliance’s Jon Jones and PolicyPal Network CEO Val Yap. Canada’s Blockchain Guy, Frederick Munawa, hosts the Blockchain Innovation podcast. Munawas interviews innovators and thought leaders in the Canadian blockchain community. 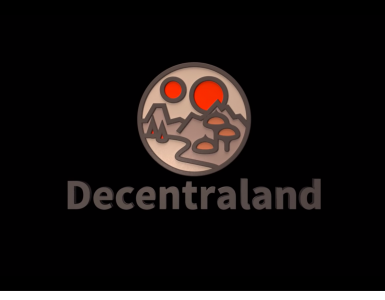 A recent episode saw Trent McGonaghy, founder of decentralized data exchange Ocean Protocol join the podcast. Munawa and McGonaghy cover a wide range of subjects from digital identity to artificial intelligence. Austrian kite surfer, medical doctor, crypto-evangelist and TenX co-founder Julian Hosp produces his German-language podcast Die Krypto Show for listeners in Germany, Austria and Switzerland. Isabelle Pareira interviews leading lights from the French blockchain community in her podcast The Trust Technology. In a recent episode, Pareira spoke with Nicolas Bacca, the chief technology officer at hardware wallet-maker Ledger, about securing crypto assets. 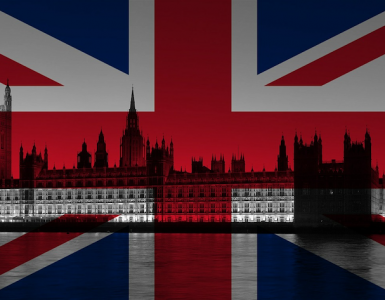 The “number 1” crypto podcast in the UK, Cryptopulse is hosted by Ben Rees and Kevin Basham. Rees is the CEO of artist development agency The Famous Company. Basham is an entrepreneur in the recycling sector. Together, they help listeners understand the world of bitcoin and other cryptocurrencies. A recent episode featured the DigiByte Foundation’s Josiah Spackman who talked about how Venezuelans are turning to the blockchain to avoid hyperinflation. Brazilian cryptocurrency news site CriptoQ has its own CriptoQ Podcast to help the Portuguese-speaking world understand cryptocurrency. A recent episode explored how the Silk Road tarnished bitcoin’s image and helped shape the bitcoin landscape today. 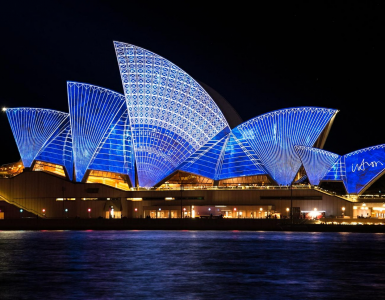 Australian bitcoin enthusiast Andrea Belotti’s Blockchain Pro Podcast explores what’s happening in blockchain in Australia and Asia. A recent episode featured Hannah Glass, a senior associate specializing in blockchain at Asian law firm King & Wood Mallesons. Glass discussed how policymakers are integrating digital currencies into the regulatory system. Onur Akpolat and Hung Tieu, discuss the latest developments in blockchain and cryptocurrency in their German-language podcast KryptoHelden. A recent episode dealt with Binance’s move to decentralize itself, exchange-traded funds in the US and more. From lone crypto enthusiasts sharing their passions with the world to professionally produced broadcasts, there are enough blockchain podcasts out there to match anyone’s preference for content and style. 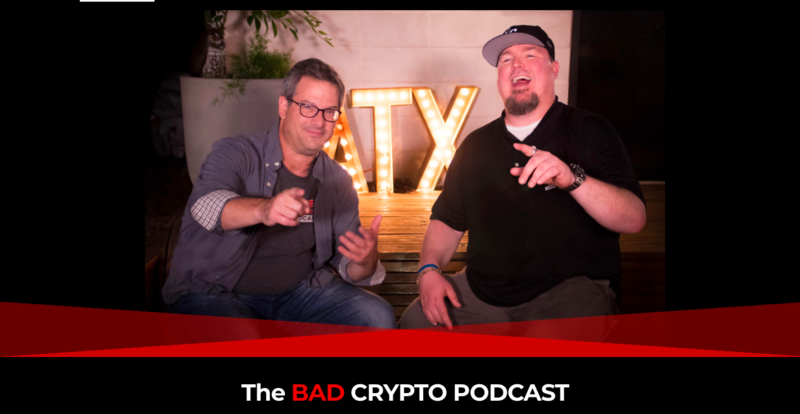 Joel Comm and Travis Wright are the “blockchain blockheads” trying to mix a little humor into the world of cryptocurrency on The Bad Crypto Podcast. Sometimes it even works. They focus on explaining blockchain and coins for crypto newbies, but also conduct interviews with leaders of different projects. Astrophysicist Michael Yuan, founder of e-commerce app CyberMiles, joined a recent podcast to discuss his Ethereum-based payment network. Created by hosts Brian Fabian Crain and Sebastien Couture in 2013 (Meher Roy joined a few years later), Epicenter explores new projects and startups developing decentralized applications. MIT’s Neha Narula joined a recent podcast to talk about the university’s Digital Currency Initiative and its efforts to advance the bitcoin blockchain. Brothers Peter and John Saddington produce their crypto-focused Decentralized TV podcast from the garage housing Peter’s bitcoin-funded Lambo. They help demystify the sometimes complicated world of cryptocurrency to help newbie investors. A recent episode covered news about the second-largest stock exchange in Germany, Boerse Stuttgart, possibly developing a platform for ICOs. Crypto investor Jose Mota hosts This Week in Crypto. This weekly news roundup has occasional interviews such as Mota’s conversation with Dash executive Bradley Zastro. Author, entrepreneur and poker player Edwardo Jackson started Blacks in Bitcoin to help minority communities learn about bitcoin and how cryptocurrency can make a difference in their lives. In a recent episode, Jackson talked through the implications of Litecoin founder Charlie Lee buying a chunk of Germany’s WEG Bank. Commercial photographer and film producer Dean Kirkland started his Crypto the Wonderdog podcast in 2017 after catching the crypto bug. Kirkland mixes short episodes quickly recapping headlines with longer, in-depth episodes. Kirkland recently explored Kowala’s kUSD blockchain with the company’s CEO Eiland Glover. The Blockchain Show is a weekly podcast promoting the adoption of cryptocurrency and distributed ledger technology. Musician and sound engineer Ethan Kinderknecht, artist Sarah Hempfling, technologist Ian Collins and “web wizard” Mark Beauchamp host the podcast and talk with invited guests. Adam Koltun from the Quantum Resistant Ledger joined a recent episode to discuss security weaknesses on blockchains (and how the QRL solves them). Founded by Zach Segal, Blockchain Curated takes the “top 1% of cryptocurrency articles” and turns them into weekly audio podcasts as an audio email newsletter. Segal read a recent article by Naval Ravikant, the founder of Angel List, in which Ravikant envisions cryptocurrencies integrating deep into the underlying protocols of the internet. Blockchain 2025 explores the blockchain’s impact on industry. Each episode focuses on a different industry from gambling to online dating and even decentralized religion. Check out other series on the bitcoin.com podcast network, including Calle Bitcoin, Humans of Bitcoin and This Week in Bitcoin. The Crypto Show was broadcast over-the-air for three years. That ended in December when Austin, Texas, radio station TXLR lost its transmission tower. Now purely digital, The Crypto Show and its hosts Chris Neandrathal and Danny Sessom continue their efforts to promote the world of cryptocurrency. The hosts recently spoke with Curtis Green, the target of a Silk Road murder-for-hire scheme. Actor, opera singer, and Reason TV contributor Naomi Brockwell has been producing bitcoin and crypto content on YouTube since 2013. Her productions range from a newsmaker interview with Steemit CEO Ned Scott to fan-on-the-street interviews outside a Taylor Swift concert. Gabe Colors, art director and crypto enthusiast, produces his “straight up podcast” Coloring Crypto to “illuminate cryptocurrency and the blockchain.” Colors interviews people driving new developments on the blockchain such as Blinked founder Julie Benlevi-Zeff, Easy Tutor CEO Phil Anderson, and Wala founder Tricia Martinez. Join Marty Bent as he sits down with decision-makers, founders, and others advancing the integration of blockchain technologies into society. In addition to Tales from the Crypt, Bent produces the daily bitcoin newsletter Marty’s Bent. Bent recently spoke with Saifedean Ammous, the author of The Bitcoin Standard: The Decentralized Alternative to Central Banking. Long-running bitcoin podcast Let’s Talk Bitcoin was founded by Adam B. Levine. It’s popularity ultimately spawned a network of multiple crypto and blockchain podcasts. Recently, Andreas Antonopoulos, Stephanie Murphy and Jonathan Mohan joined Levine to discuss apocalyptic scenarios facing bitcoin’s future. They also explained the effort to create a standardize the “bits”, or 100 satoshis, unit. Other podcasts running on the Let’s Talk Bitcoin Network include The Bitcoin Game, Epicenter Bitcoin, Safe Crossroads, The Ether Review, The Crypto Show, SovereignBTC, Bitcoins and Gravy, The Startup, and The Tatiana Moroz Show.